SINGAPORE- National University of Singapore (NUS) president Tan Chorh Chuan has been elected to the United States National Academy of Medicine as its first Singaporean member, the organisation revealed on Monday. The organisation, through its domestic and global initiatives, works to address critical issues in health and medicine. It also provides the US government with independent advice on these issues. 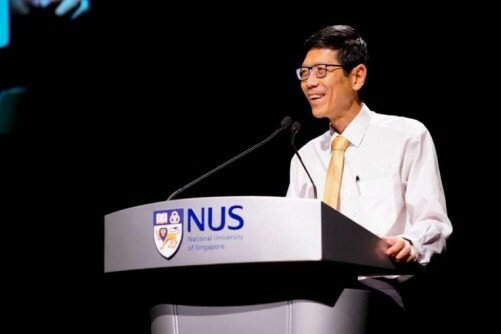 Prof Tan, who was appointed president of NUS in 2008, was one of the newly elected members announced at the academy's annual meeting on Monday. Prof Tan is also chairman of the National University Health System and deputy chairman of the Agency for Science, Technology and Research. A total of 70 new regular members and 10 international members were elected this year. Members include professionals from diverse fields including health and medicine, as well as the natural, social and behavioural sciences. Membership to the organisation is for a lifetime. National Academy of Medicine president, Dr Victor Dzau, said the organisation's new members are at the top of their fields. "Our newly elected members represent the brightest, most influential, and passionate people in health, science, and medicine in our nation and internationally," said Dr Dzau. "The expertise they bring to the organisation will help us respond to today's most pressing health-related challenges and inform the future of health, science, and medicine." Each year, new members are elected based on their achievements in a relevant field, as well as for their willingness to contribute. Prof Tan, a renal physician by training, said the honour is a "wonderful surprise". The former director of medical services at the Ministry of Health was responsible for leading the public health response to the 2003 Severe acute respiratory syndrome (SARS) epidemic, which he had then described as the most stressful period of his life. "To be elected into this illustrious group of distinguished scholars who have made such an impact on the information and policies we have today in the world of biomedicine, medicine and health is an incredible privilege," he added. "It is a strong recognition of the contributions made by Singapore and NUS to the study of medicine and health in Asia..."